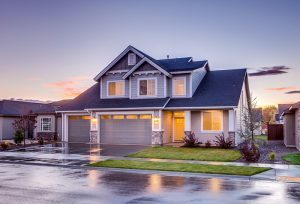 Tips for Protecting Your Home during the Rainy Season | Reliance Plumbing Sewer & Drainage, Inc.
Sump pumps are responsible for removing excess water from the lowest point of your home—in most cases, this is the basement. A sump pump is a water pump that utilizes electricity to power an impelled motor, which draws water from an excavated collection pit (the sump) and places it either into the wastewater system of your plumbing or into a well. Sump pumps are excellent for handling flooding and are also useful in areas with high water tables that cause moisture to seep down into the basement, such as the greater Chicagoland area. There are a couple different types of sump pumps, so if you do not have one already and are interested in learning more, please don’t hesitate to reach out to our team. Water accumulation in your yard is not just unsightly, it can also be unhygienic. Soggy yards lead to problems like excessive insect population, leaks in your foundation, mold growth inside your property and oustide in the surrounding area, and more. Proper storm drainage, however, will allow you to avoid this. Consider adding foundation drains to your home, as well as catch basins and/or rain barrels. Clear Your Gutters: The gutters of your home help to catch rainfall and ensure that it stays away from the foundation of your home. But if they’re clogged up with leaves and other debris, then they can’t possibly do this job effectively. Check for Signs of Leaking: Have you noticed any discoloration or soggy spots on your ceiling? This could very well be due to roof damage allowing moisture from outside to make its way in. As the rain worsens in the coming months, this problem will only grow. Take care of any leaky problems now. Seal Your Windows and Doors: Do you have any drafty windows and doors? Well, the thing about this is, not only does it allow heat and cooling to escape from your home when you need it the most, it also allows moisture in your home. Fortunately, this is an easy fix that just requires a bit of caulking. Inspect Your Basement: Hopefully, you do have a sump pump in place, and it will effectively do its job. However, you should still make sure that any electrical connections required for appliances in your basement are at least a couple feet off of the ground, and be sure to elevate anything else that could accumulate severe damage from flooding, just in case. For expert plumbing in Winnetka, IL, installations, or maintenance, contact Reliance Plumbing Sewer & Drainage, Inc. Our knowledgeable plumbers serve the North Shore and Northwest Chicago suburbs. Rely on Reliance!